Man, our job is tough. 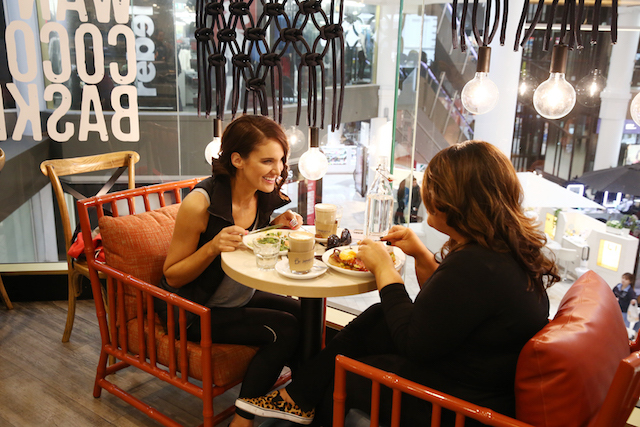 Being “forced” to shop, eat and get our nails, hair and makeup ‘did’ is hard work! 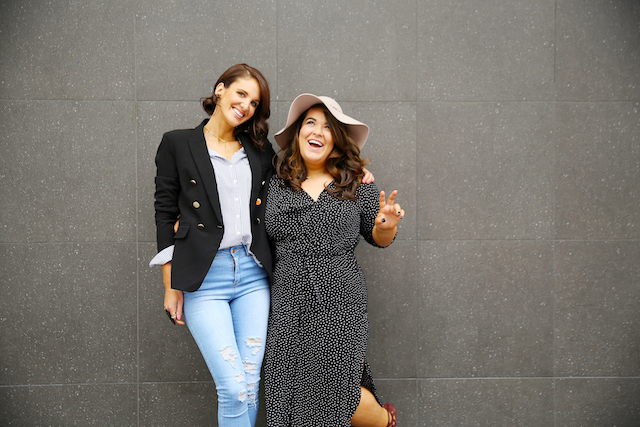 All sarcasm aside, we had the best day out at Myer Centre Adelaide with the awesome girls from South Australian Style magazine, here is our itinerary! Thanks to the lovely Jodi Nash for making us feel amaze-balls. Savannah and Ebony, styled up a storm at our first stop. 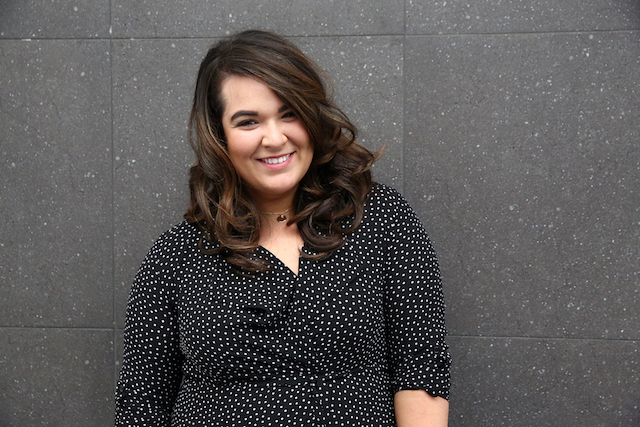 You can walk in for a blow-dry, style or curl from $40 – $60! There’s nothing like a good hairdo to start your day. Sonia and Tia worked their magic on us with a focus on brows. 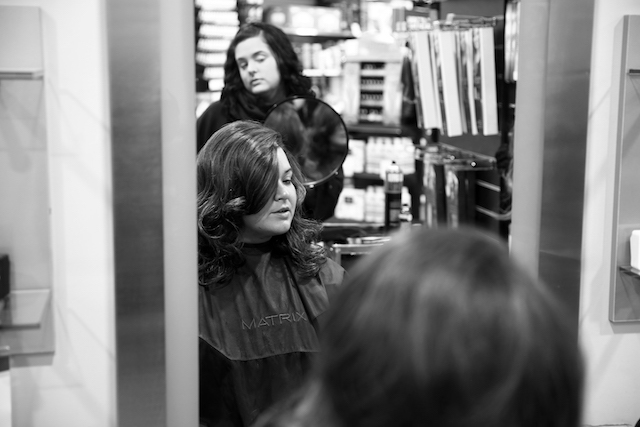 A Benefit makeover is $75 and is redeemable on a product purchase! #winwin The artists in store also offer a brow wax and tint service from $31. #1 Porefessonial Primer – Great for minimising the effect of open pores and fine lines — I’ll take two please! #2 They’re Real Mascara. With one sold every ten seconds worldwide this wonder product really does what it says. 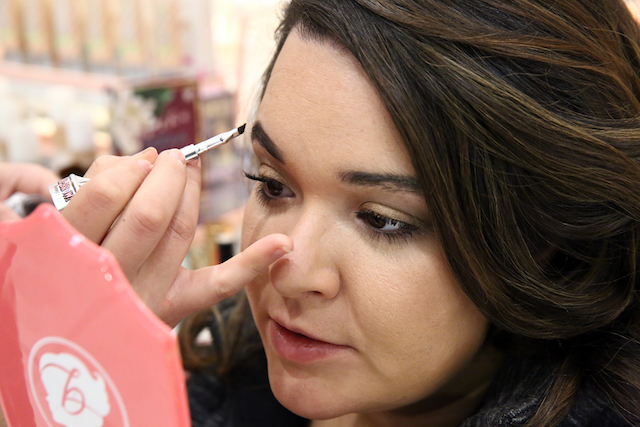 #3 Gimme Brow – A tinted gel with added microfibers, this mini wand adds texture and definition to your brows. 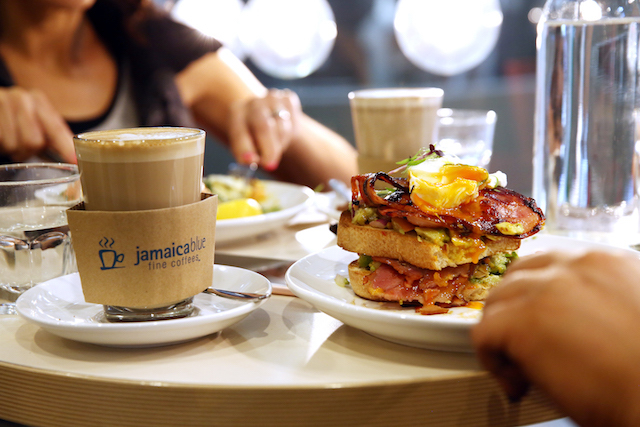 Shopping sure works up a hunger, we head up to Jamaica Blue for a well-earned coffee (and hot brekky) break. 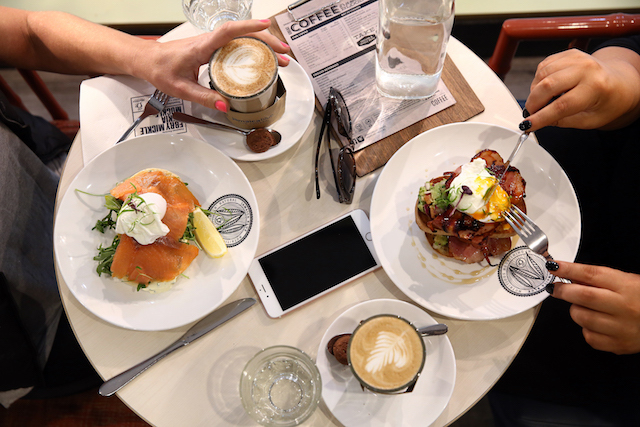 Apart from the amazing Blue Mountain coffee, we loved the Sourdough Crumpets with smoked salmon, poached egg and citrus cream $13.90 & the Avocado smash with maple bacon $16.90. YUM! 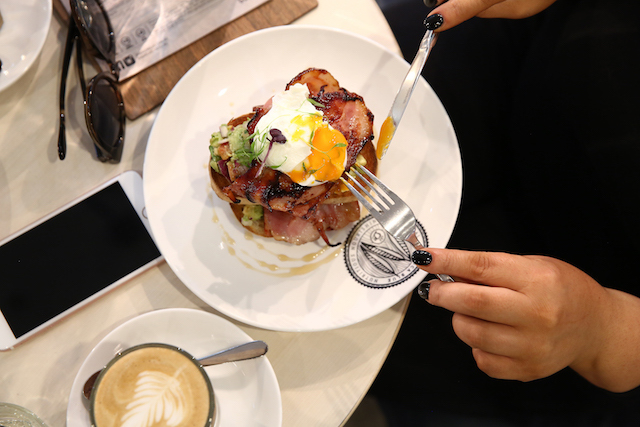 First we head to…Relax In Vintage to check their amazing collection of vintage finds. 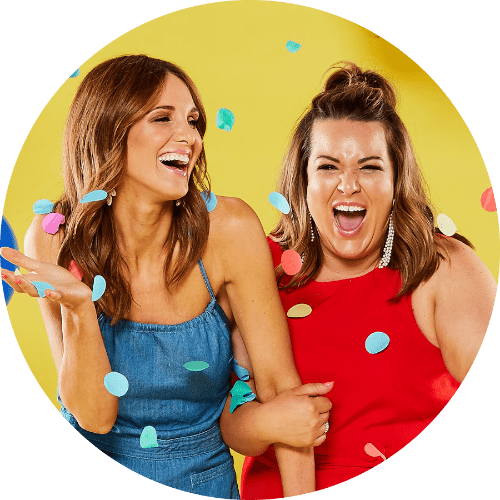 Next it’s off to Jacqui E where we find an awesome blazer with fancy gold buttons, then across the way to Ally Fashion stocking a cool selection of the latest trends at super amazing prices. Getting our shoe fix, we head to the Shoe Shed for a huge selection of gorgeous heels and later on, USG for awesome trainers! 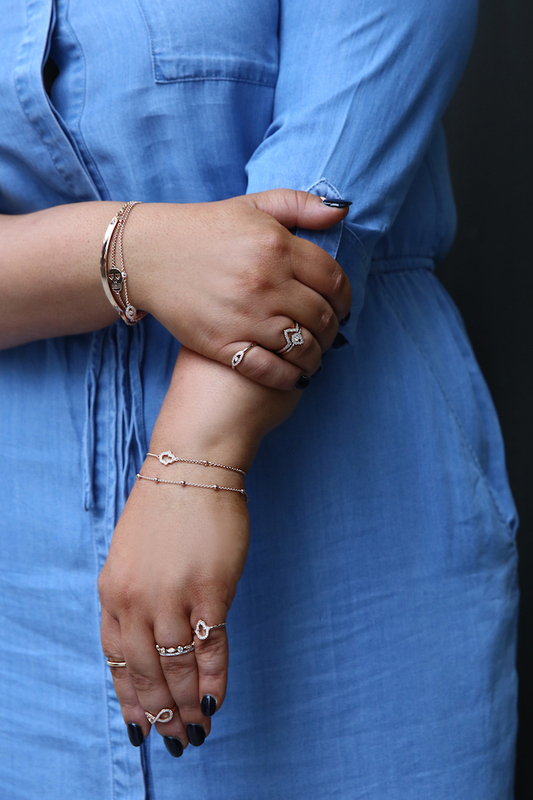 Downstairs we find Thomas Sabo and can’t help but try on the gorgeous dainty pieces in rose, silver and gold. Now, we feel like actual ladies! It’s time to unwind after a fun day hitting the shops. Our feet are killing us and in desperate need of some attention — the 35 min reflexology foot massage for $40 is just what the doctor ordered. The massage chairs are an added bonus! So many colours to choose from and the girls at Posh Nails have all the options, from SNS to shellac and foils. We settle in for a mani which is the perfect end to a busy day.